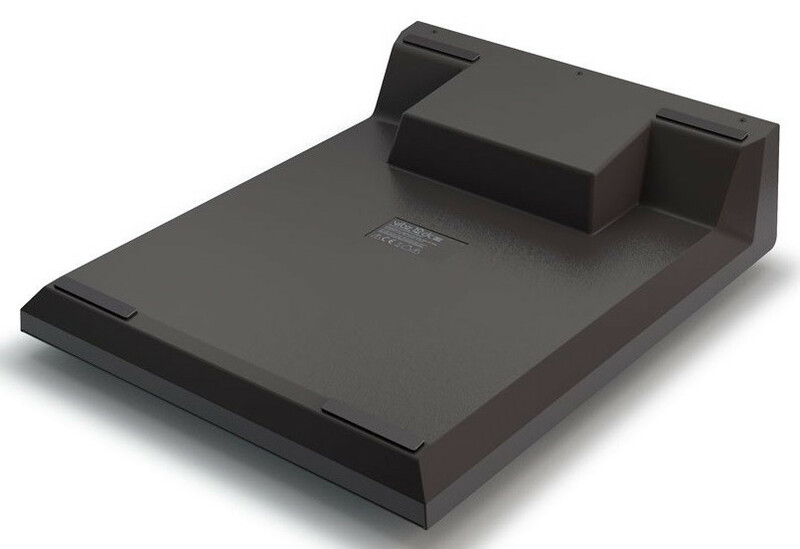 Mesa Mistura LD Systems VIBZ 12 DC. Cor: . 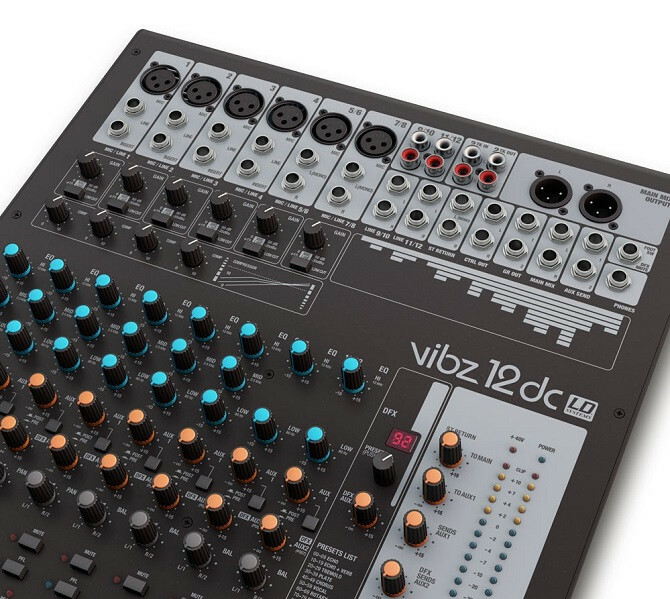 The VIBZ 12 is a versatile mixer with six balanced microphone inputs featuring high quality preamplifiers, a low-cut filter, an effective 3-band EQ with conveniently selected mids and switchable phantom power. 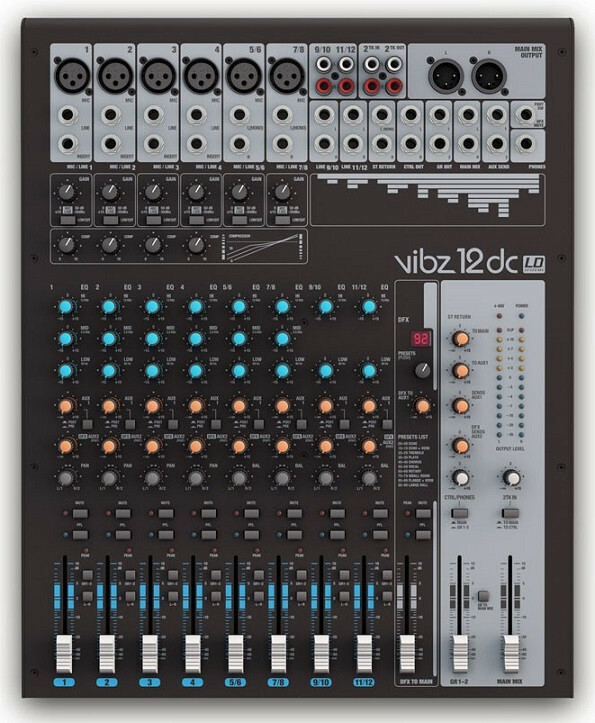 The VIBZ 12 is a versatile mixer with six balanced microphone inputs featuring high quality preamplifiers, a low-cut filter, an effective 3-band EQ with conveniently selected mids and switchable phantom power. 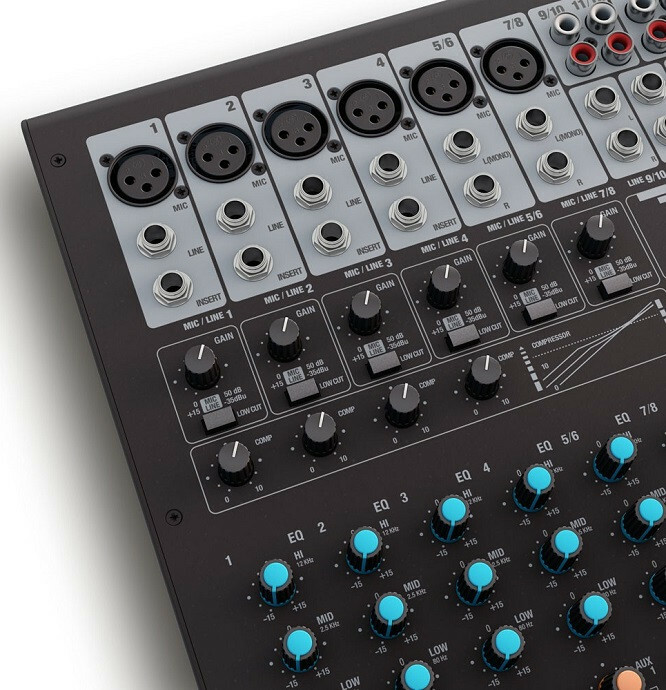 Four microphone channels can be processed separately using the built-in compressor for an effective control of dynamics; two more can alternatively be used as a stereo line channels. The other stereo channels are equipped with 2-band EQs. 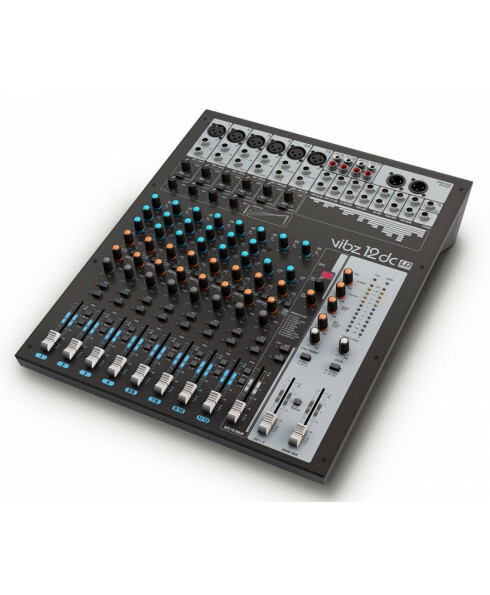 The master section of the mixer includes two effects loops, balanced XLR outputs, group and monitor outputs and a headphone jack. 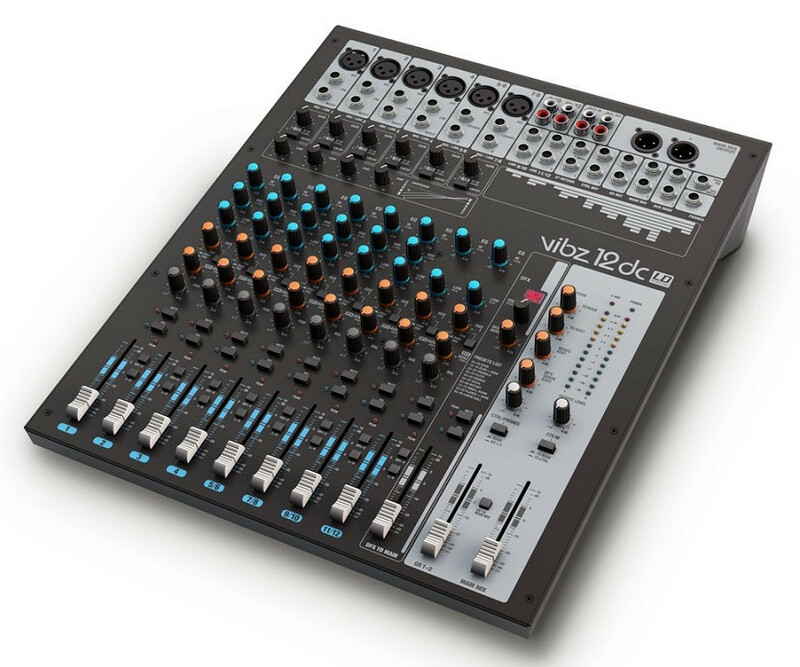 The VIBZ 12 also has RCA connectors for recording and playback devices and a digital Digital Effects Section with 100 presets. 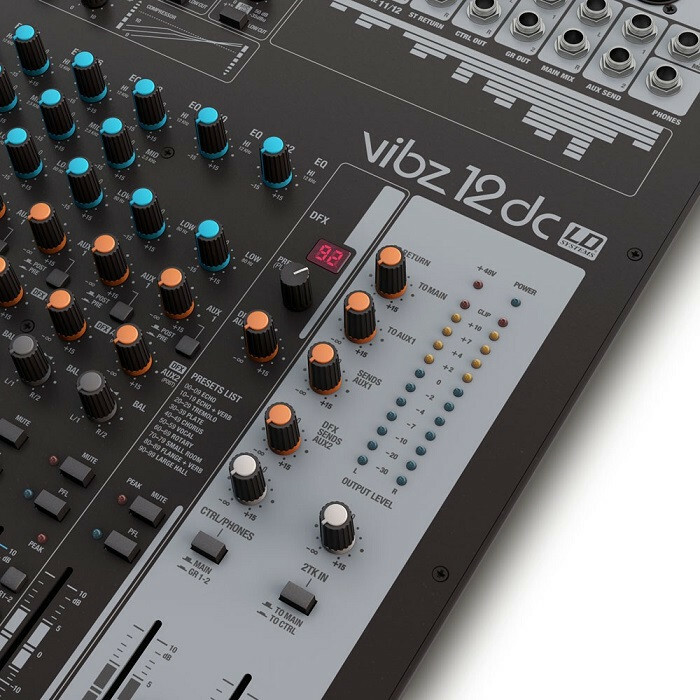 With key features such as the PFL function or the Mute buttons and its natural, transparent sound, the VIBZ 12 is the perfect choice for live performances, installations and demanding home recording applications.